If you want to understand Republican political strategy read this post: Republican Strategy: Spend Like A Drunken Sailor …. at Will Blog for Food. 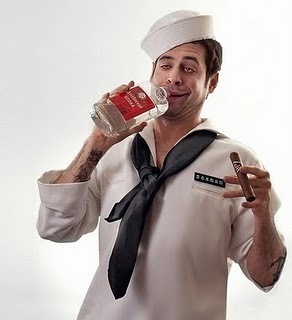 What Do You Do With A Drunken Sailor? (where I nabbed the drunken sailor photo, thanks) at David’s Spiel is from last year, but still has a good point. Standard & Poor’s thinks so anyway. This entry was posted in 2012 Election, Debt Ceiling, Democratic Party, Government Corruption, Politics, Republican Party, Share and Share Alike Series, Social Conservatives, Tea Party, U.S. Tax Policy and tagged Democratic Party, Politics, Republican Party, Tea Party, U.S. Government. Bookmark the permalink. Your collections of links and articles are always fascinating and informative. Thanks. Sometimes I find posts out there that sum up my thoughts exactly. They save me the time of wiggling the thoughts into one of my twisty rides, so I am happy to recommend. All is fine here. Working on a long post about war profiteering that is taking lots of research and needs much work. Hoping to keep up with some of the other things I’ve brought up lately as well … if time. What else do you do when your country decides to go nuts?